Two of today's leading experts on the Christian political tradition plumb significant moments in premodern Christian political thought, using them in original and adventurous ways to clarify, criticize, and redirect contemporary political perspectives and discussions. Drawing on the Bible and the Western history of ideas, Oliver and Joan Lockwood O'Donovan explore key Christian voices on "the political" - political action, political institutions, and political society. Covered here are Bonaventure, Thomas, Ockham, Wycliff, Erasmus, Luther, Grotius, Barth, Ramsey, and key modern papal encyclicals. The authors' discussion takes them across a wide range of political concerns, from economics and personal freedom to liberal democracy and the nature of statehood. 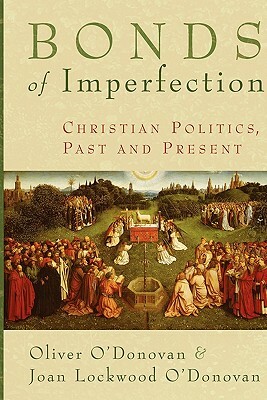 Ultimately, these insightful essays point to political judgment as the strength of the past theological tradition and its eclipse as the weakness of present political thought.